Nottingham’s Simon Skelton, an ex WBT Top 16 Ranked player, who won his tilt at this Just World Indoor Singles title by taking out the qualifying spot at Lincoln, was delighted to claim the last of the places that was up for grabs in tomorrow’s Just World Indoor Singles semi-finals and is the only qualifier remaining in the event. (25th Jan). 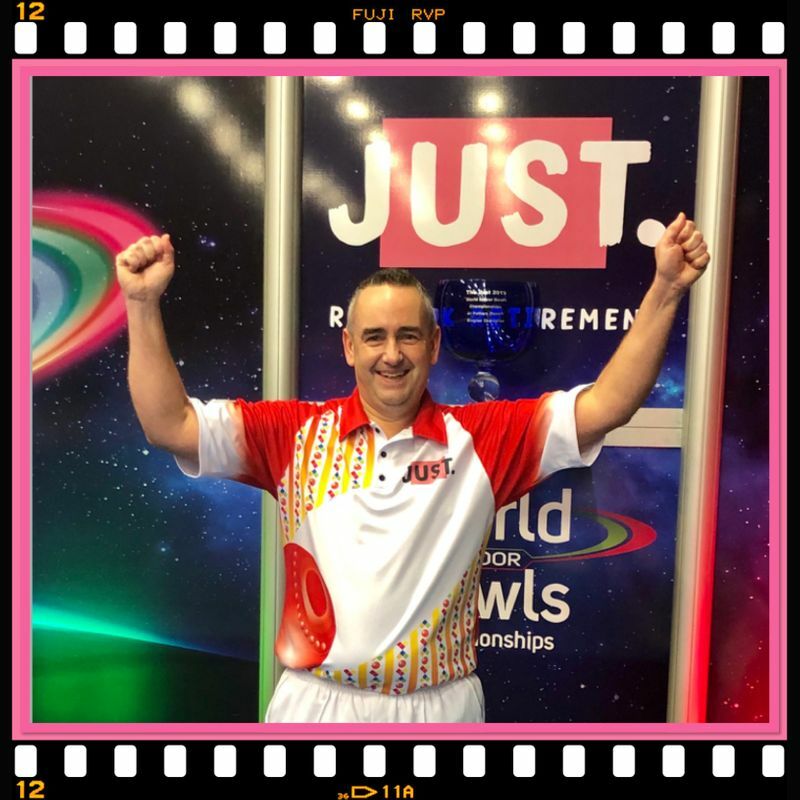 Last night, Skelton and number 6 seed Darren Burnett, who won this title in 2014, slogged out a frustrating and low scoring 6-6, 6-5 match to see a delighted Skelton moving through to Saturday’s semis against Nicky Brett. The first set looked done and dusted with Skelton holding a 6-3 advantage playing the last but Burnett held a treble and bidding for a set winning fourth shot – surprisingly fell short with his last bowl that left him sharing the set at 6-6 whereas that vital last bowl would have given him a full house and would have seen him take an early one set to nil advantage. Singles were scored on each of the first six ends of the second, with the scoreline falling 5-1 in Skelton’s favour. However back to back doubles for Burnett left the set squared at 5-5 and kept both players firmly focused going into the last end before the verdict eventually when to Skelton by the narrowest of margins 6-5. The other half of the draw will see Scotland’s Stewart Anderson and number 12 seed Les Gillett battling it out for that other place in Sunday’s title decider. ** Ireland’s Chloe Watson gets the defence of her World Under 25 Singles title up and running tomorrow morning against England’s Jordan Phillpott. Scotland’s John Orr will be in action against Kiwi Dean Drummond in the afternoon, with the winners from both matches battling it out for the titl tomorrow evening.